I am in Manchester, New Hampshire – just arrived this afternoon. After exploring Plymouth and Boston for three beautiful days I have settled into my hotel room. 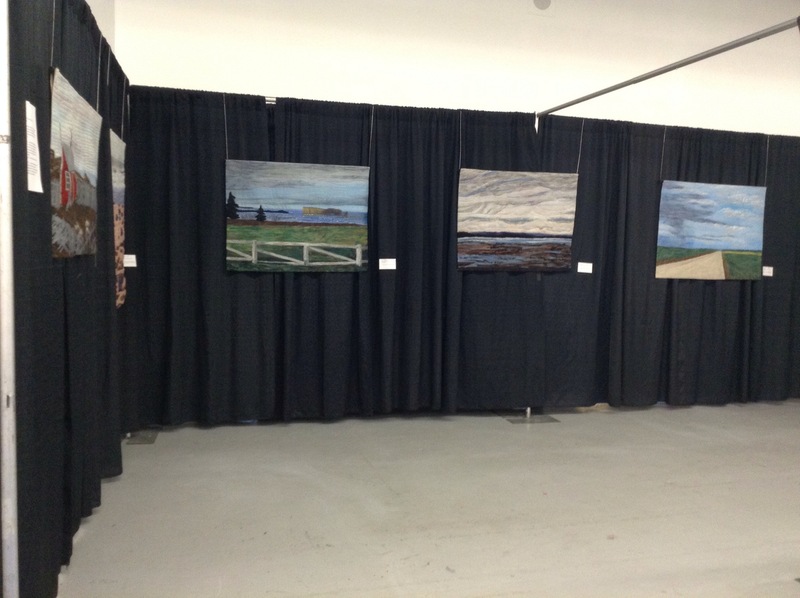 My special exhibit is up, thanks to the help of Jason, one of the super efficient Mancuso show management employees. It took less than 20 minutes to hang… It took more time to mist the pieces with water and work on removing the heavy creases from transporting the work in my suitcase. 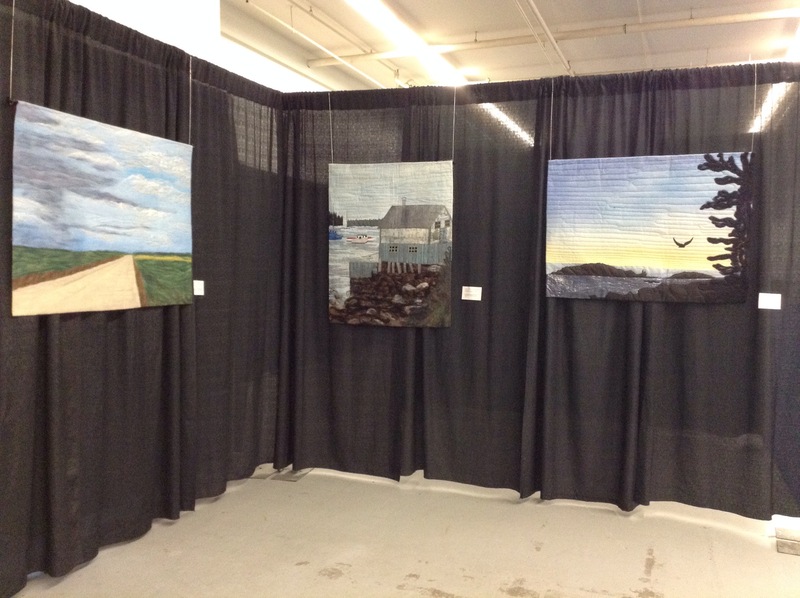 Looks like my exhibit is the first one up! 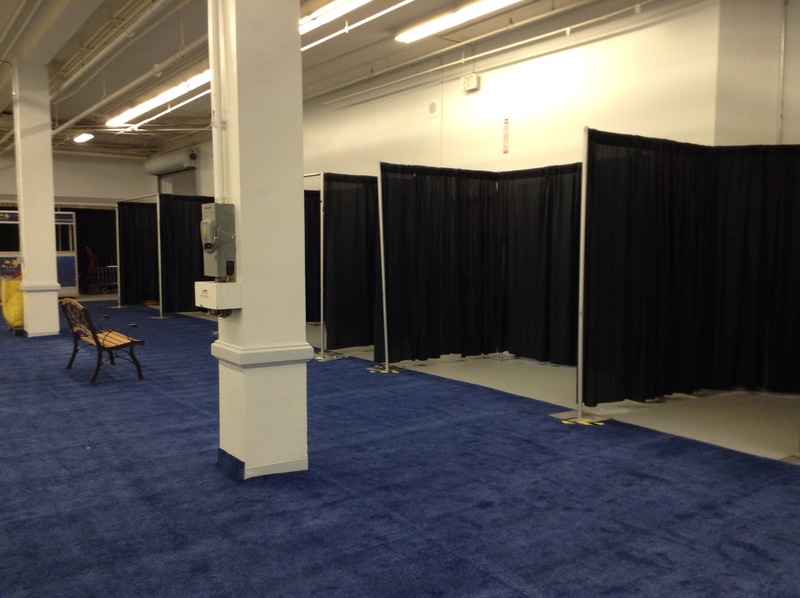 I am not used to seeing the rest of the spaces still empty, but waiting till tomorrow is not an option as I am one of the judges for the quilt competition. A full day of evaluating and awarding prizes is ahead. Looking forward to the challenge. 12 Aug	This entry was published on August 12, 2014 at 3:42 pm. 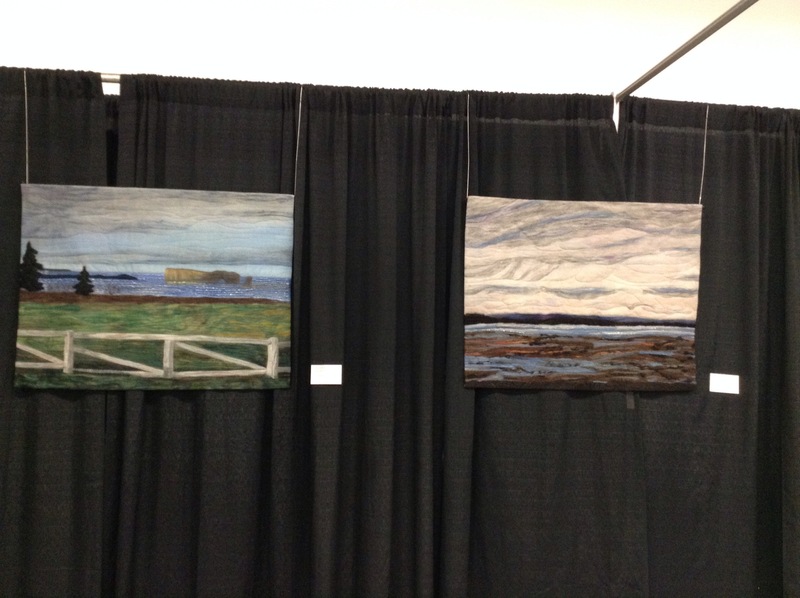 It’s filed under Exhibition, Exhibition News, In the News, Journaling, Quilt Show, Special event and tagged Compelled - Canadian Landscape Impressions, mancuso quilt shoews, special exhibit, World Qult Show New England XII in Manchester - new Hampshire. Bookmark the permalink. Follow any comments here with the RSS feed for this post. 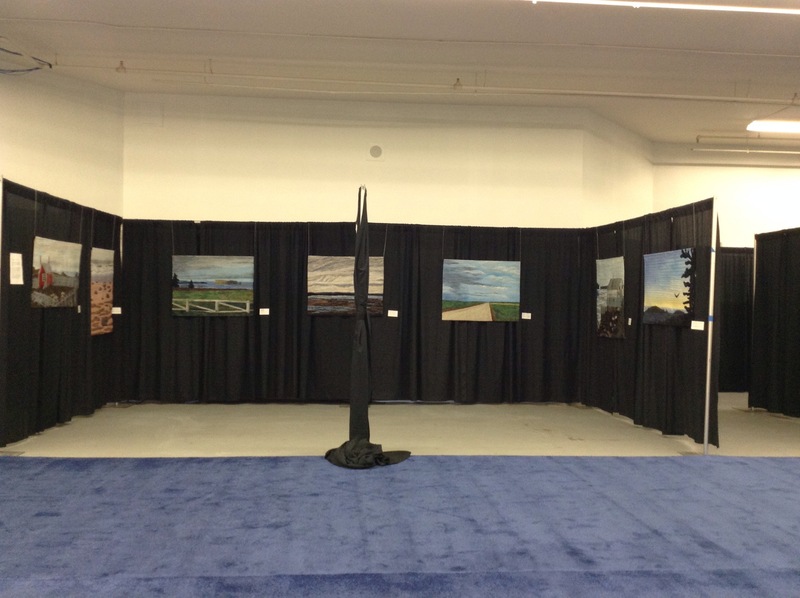 Your exhibit looks wonderful. Wish I could see it in person. Hmmmm! I think I see some Newfoundland scenes here?? Absolutely! Canada and it’s breathtaking vistas would not be complete without Newfoundland! 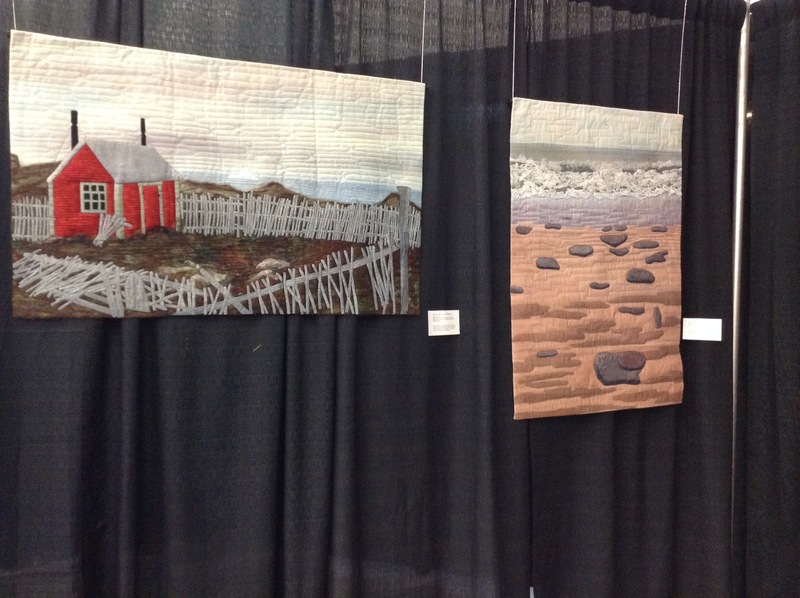 Awesome art quilts! I love the prairie scenes! Enjoy! Wonderful pieces Anna! Enjoy the experience! Janet! So great to see your comment! Please make sure to drop by my classroom! I really look forward to seeing you again!